To really make your New You Plan journey a success, there are certain things that it’s worth stopping, once and for all. 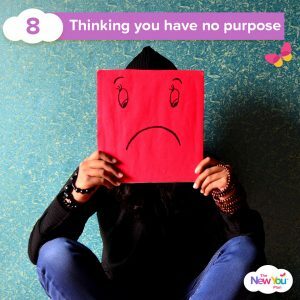 Here, New You Plan Founder Julie-Ann shares 8 things to quit in 2019, which will help you completely turn your life around. We all see these memes / quotes on Facebook, we click like and scroll on. 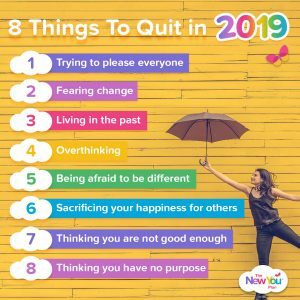 I clicked like on this one today, “8 things to quit in 2019” and instead of scrolling on I spent some time thinking about each point. I could see that a lot of the reasons for my weight gain was because of these and thought I would share them with you. It is almost laughable that as soon as you want to start Total Food Replacement there comes a range of holidays, invites, meals out with people you haven’t seen in forever, birthday parties, weddings, and the list goes on. 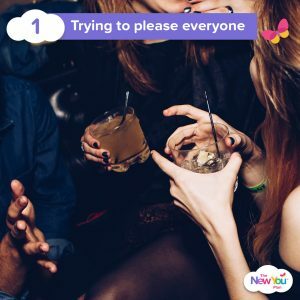 But if we accept every invite and can’t go without indulging in allll the food and drink – just to please others and not offend anyone – then we leave ourselves sacrificing the one thing that is most important to us; how we feel in our own body. If the one thing we need to do to be happy is to commit to our plan 100% so we can get to our goal, then we need to put ourselves first until we achieve our most important goal, and stop worrying about pleasing everyone else and knocking ourselves out of our momentum and losing our mojo. It is demoralising and makes us look and feel weak with low self esteem. High self esteem is earned when we stay true to the disciplines that bring us closer to what matters most to us. If you want to lose a lot of weight and create a big transformation that means you need to change a LOT of things. You need to change what you eat and drink. You need to change how you socialise and relax. You need to change how you deal with feeling low and stressed. You need to change your habits and routines. You need to change how you celebrate success and deal with defeat. You need to swap Netflix and chill for getting up and sweaty. You need to change your thoughts and your beliefs. You need to change how you think about who you are and the type of things that you believe you are capable of. That is a hell of a lot of change, and it can be scary. But stepping outside your comfort zone and embracing all these changes will totally transform your life for the better. It’s easy to stay stuck when you feel comfortable. 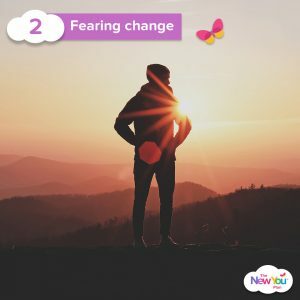 Change is uncomfortable, but only for a while, and then it energises you and boosts your self confidence and self esteem and once you start to see the physical results you will be so glad that you embraced the change! Everything changes; people, society, relationships, friends, enemies, our jobs, our skills, our bodies, our kids, our marriage and how we feel about ourselves. The past is the past. It no longer exists. All we have is today, and our future is built today. One of the key factors for success in our transformation is to have a vision of the future that excites us; a vision where we can see ourselves living our best life and doing all the things we love to do with people who support us and care for us. Another key factor in the success of our transformation is to APPRECIATE TODAY, fall in love with the process of creating your new you, fall in love with the process of building your self esteem, self discipline and willpower. Only look back to the past to remember the lessons learned and apply them to today so that you can create your best life as your new you. Today, everyone has an opinion, and if we take every comment and every snide remark and dwell on it so that it derails us from our good intentions and our goals we will never get to our target healthy weight. Make a decision today that you will no longer take anything personally, and that anything anyone says or does is absolutely none of their business and will not effect your mood or take over your thoughts. Focus your thoughts on YOU. Don’t overthink anything negative, let it go by replacing it with thoughts of you and your dreams. If you are in a circle of friends or family that does a different diet, you will probably find you are constantly bombarded with comments to make you follow whatever plan they are on. You need to be able to smile, and let people know that you are happy doing what you are doing and it works for you, and you are happy for them for doing what works for them. No matter what diet you do, people will not agree with it. 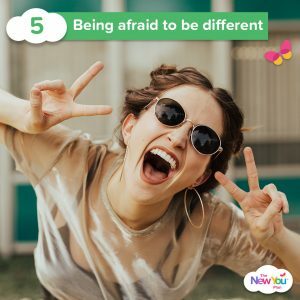 You have to be able to be proud of what you are doing and be happy to be different. If you are always going to follow the crowd, then how are you going to take control of your own life and forge your own way forward?! Always do what works for you! If you are in one-sided relationships where you seem to be the one that is getting the raw deal this can be a complete nightmare when you are trying to lose weight. If you feel you are always the one giving and supporting others and you are not getting what you deserve back, this can leave you feeling drained and empty inside. When you feel empty inside this can drive you to comfort eat. Take a look at the relationships around you. If people are taking you for granted you need to speak and set up boundaries. You need to stop sacrificing yourself for other people and turn all your attention to YOU. Your health and your happiness must be a priority in your life. A good book to read to learn how to do this is ‘Codependent No More’ by Melody Beattie. If you have low feelings about yourself, it will be more challenging for you to be able to stay on track with your weight loss goals. You need to believe that you are enough and that you are worthy of being the best you can be. If you are thinking you are not good enough, other people put those thoughts there. Many times these thoughts start in childhood. If you grew up in a dysfunctional family with an alcoholic, emotional neglect or physical abuse then you should look into going to therapy to help you get over the feelings of not being good enough. 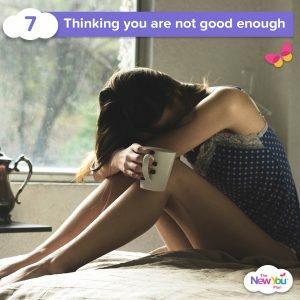 When you do not feel that you are good enough this opens you up to having damaging relationships with people who actually make your life and self esteem worse. Another thing that causes us to feel that we are good enough is social media and the constant comparing of ourselves to other people. So many people seem to have this perfect life on social media, and when we are comparing our behind the scenes to their highlight reels it can cause crushing feelings that you are not good enough. Start today to become aware of all your positive qualities, and focus on YOU, your self care, make how you feel your number one priority, look after yourself, speak to yourself kindly and remind yourself everyday that you are enough. What is the purpose of your life? It is such a big question, but the great thing is that we get to decide the purpose of our own life and we can change our minds at anytime. Our purpose should inspire us and drive us on to be the best version of ourselves. Through my recent marriage breakdown I felt crushing feelings about so many things in my life, and I gained back a lot of weight. I felt how can I help others to lose weight, when I have gone back to the weight I was when I was last pregnant? I created a story in my own head that gave me purpose. I believe that I have re-birthed myself through this struggle, I have gained a much deeper understanding of my life, who I am and what true self love is. I am a new person now, and it is through my personal struggles that I can help others, and this is my purpose. My purpose and my inspiration is YOU, reading this and my two young daughters. I want to be the best version of me, so that I can help others, and my daughters be the best version of themselves. When you can connect with a purpose that is important to you, then it makes getting slim easier, because you know that you need to be in your best health and be your best self to fulfil your purpose, no matter what your purpose is. ← Jan’s VLCD Journey: 5 Stone 10lbs Gone For Good!